Crystallization of active pharmaceutical ingredients is critical to the successful development and manufacture of medications. 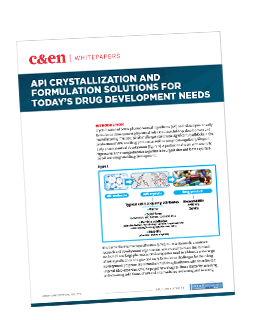 However, crystallization challenges are common and can negatively affect pharmaceutical development and complicate regulatory filings. This whitepaper identifies strategies to overcome those challenges to meet the demands of today’s pharmaceutical industry. How to overcome challenges associated with the crystallization process, including solid-form discovery and formulation hurdles.